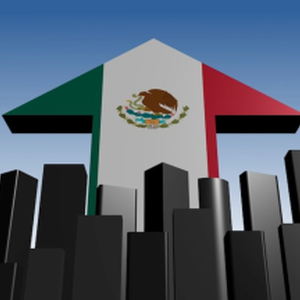 Next year will be a year of opportunities for investment and economic activity, with a growth of 3.5%, with no influence of the international context, informed the Mexican Institute of Finance Executives (IMEF). Daniel Calleja, national president of the organization, said that next year will begin to reflect some favorable impacts from the new structural reforms, including the energy and telecommunications reforms, in addition the recovery of the US and the eurozone will stimulate the Mexican economy. "The IMEF considers that the current estimate of 3.5% may be a minimum number of expansion. The Institute shall be very careful about the evolution of the economy during the first months of the year to, if necessary, check the rise of the above mentioned number" he said. Meanwhile, Federico Rubli Kaiser, vice president of Ponencia IMEF 2014 said that it's projected that that economic growth will be interrupted in the first half of 2015, but with a better performance in the second semester. The IMEF estimates for 2014 a rate of economic growth of 2.15 %, in line with the consensus of the forecasts of between 2.1 % and 2.2 %. Whereas for the inflation it foresees a rate of 3.5 %, in spite that during the last five months it was kept overhead of the ceiling of the target-range of the Bank of Mexico, of 4 % annually. He described as successful the reactions of the authorities, and predicted that the sharp exchange rate volatility will vanish in the next few weeks, while oil prices will register a gradual recovery from the second half of 2015. Calleja Pinedo affirmed that the Mexican peso has been one of the least volatile currencies registered, since the annual depreciation does not come to 4% and in the last week it barely registered a depreciation of 2.5%. He noted that the decision of the Exchange Commission, integrated by the Ministry of Finance and the Bank of Mexico, of auctioning $ 200 million dollars, has been successful in sending a suitable signal to diminish expectations and thereby reduce exchange pressure. IMEF's president said that for the next year it would be beneficial to make adjustments to the tax reform and generalize the Value-Added Tax (IVA), in addition to having major juridical security and tributary simplification. Besides re-inserting the immediate deduction of investments with geographical criteria, eliminating tax on dividends and the partial deduction of social benefits, restoring full deduction of medical, funeral and educational services and promoting indirect taxation and formality.